Whomp whomp. There're no Bouquet Smurves for sale. 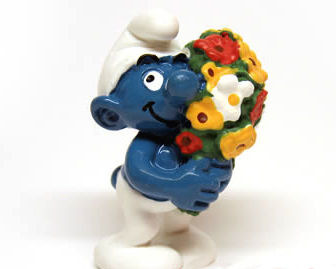 Bouquet Smurf holds a beautiful bouquet of colorful flowers.